SMA hosted a speaker session presented by Mr. Brad Babson (The National Committee on North Korea [NCNK]) as a part of its SMA INDOPACOM Speaker Series. 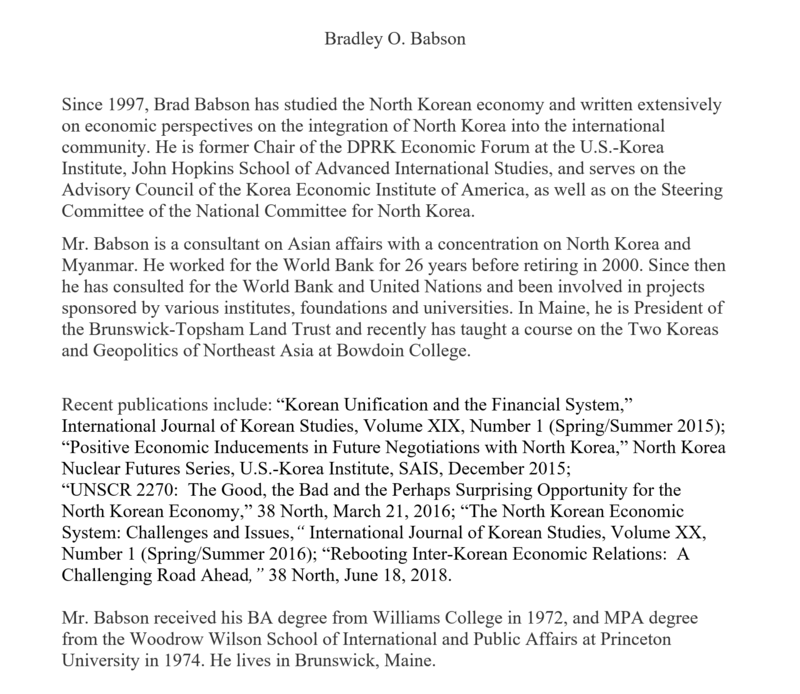 During his presentation, Mr. Babson discussed the evolutions of the North Korean economic system. He spoke about North Korea’s adoption of a mixed economy, its perceived economic growth over the past 20 years, and the emergence of a growing entrepreneurial middle class that has become less dependent on the state for management and regulation. 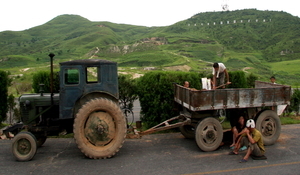 He also explained that the prices of North Korean goods have remained surprisingly stable despite increased sanctions over the past two years and that the composition of North Korea’s trade has largely remained the same as well. 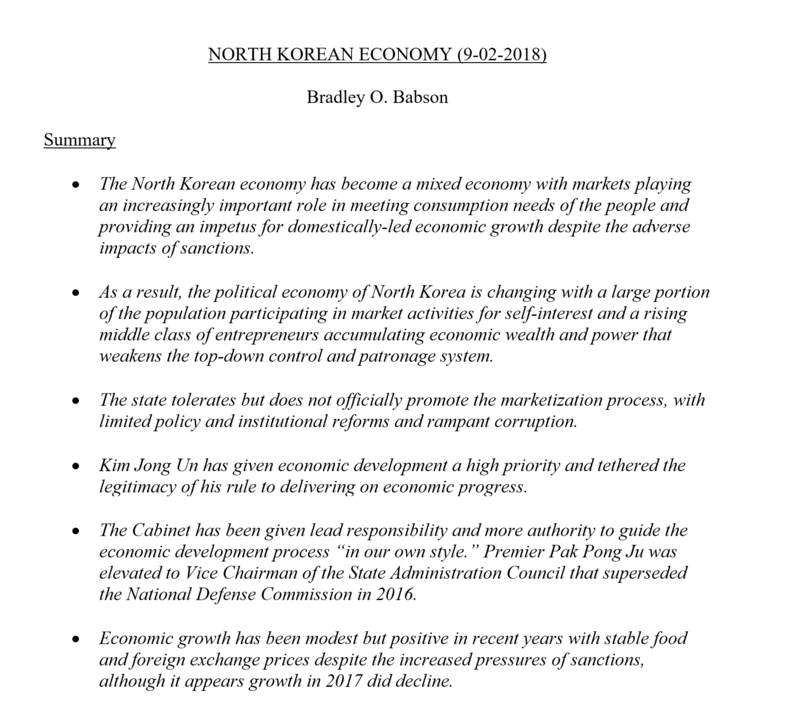 Mr. Babson concluded his presentation by discussing how North Korea has responded to recent sanctions by finding ways to evade these economic restrictions and by becoming more innovative, productive, and self-sufficient.